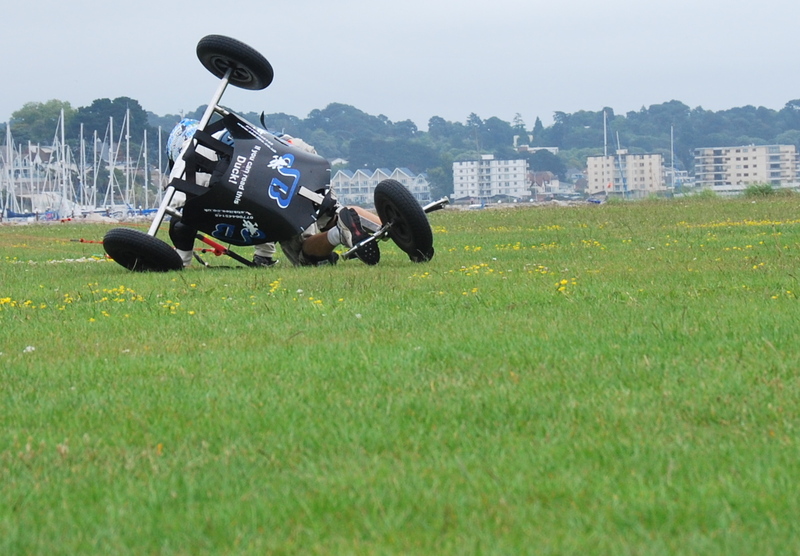 First kite buggy lesson – with one or two crashes! I’m sitting typing this with two ripped holes in my shorts, a graze on my elbow, and a wide grin. I’ve just had my first kite buggy lesson with SB Kites in Poole (Dorset, UK), and while I admit to crashing (or ‘having an out of buggy experience’) at least five times, my instructor did say I picked it up quite well. Or at least, he stopped shouting and running behind me as I careered towards the edge of the park and started to look more relaxed. Kevin took me from flying fixed bridles (Ozone Flow), to depowers (Ozone Access XT and Frenzy) in a static position to get used to the kites and try to get used to not having to look at them the whole time. It was then time to jump in a buggy. I started with the fixed bridles again and progressed to buggying with depowers. We’re using Access XT and Frenzy kites on our trip so it was nice to train with them. All in all today was a lot of fun, and I got around 6 hours of top quality tuition for only £75. My brother Charlie will be heading down there in a couple of weeks once he’s finished at York to get up to speed too. 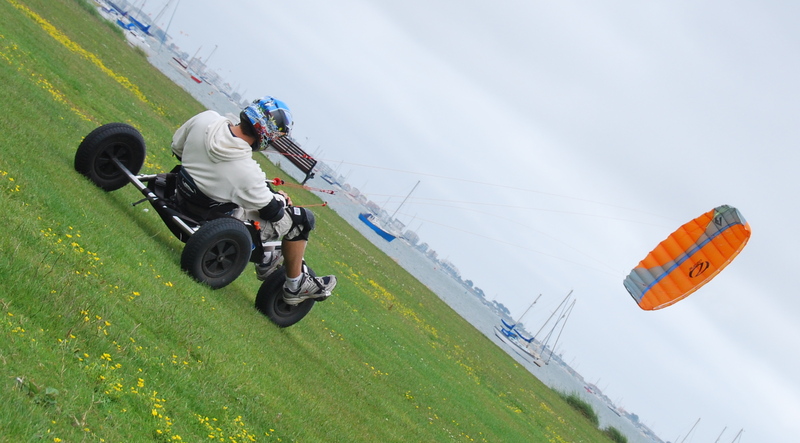 This entry was posted in Journal, Ozone, Sponsors and tagged kite buggy lesson, kite buggy lesson poole, kite buggy lesson uk, kite lesson uk, kite south coast uk, Ozone Access Frenzy, Ozone Access XT, Poole Harbour, SB Kites by Harry Thuillier. Bookmark the permalink. Hi Alex, having just spoken to you via email now I know you meant ‘can’ rather than ‘can’t’! Thanks for your offer, I’ve checked out your site and it looks great, will definitely be in contact!